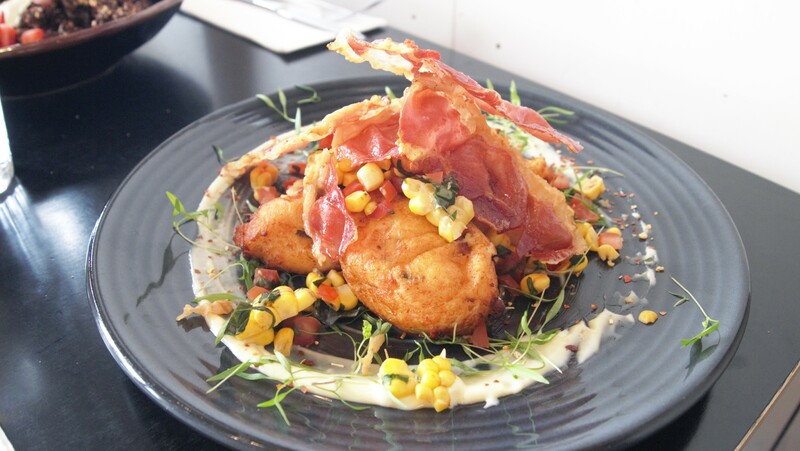 It’s official, there is finally somewhere to enjoy a great brunch in the outer north western suburbs. This area has long been a foodie wasteland, with dinners desperate to see some of the great food found inner city make its way out to them, after all, it becomes tiresome having to drive 25kms every weekend just to enjoy a great brunch. 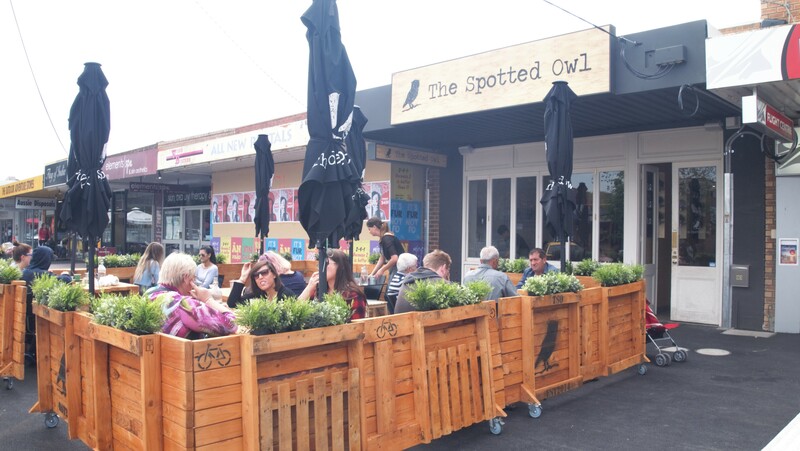 The team behind the Spotted Owl have capitalised on this gap in the market and brought inner city hip out to the burbs. 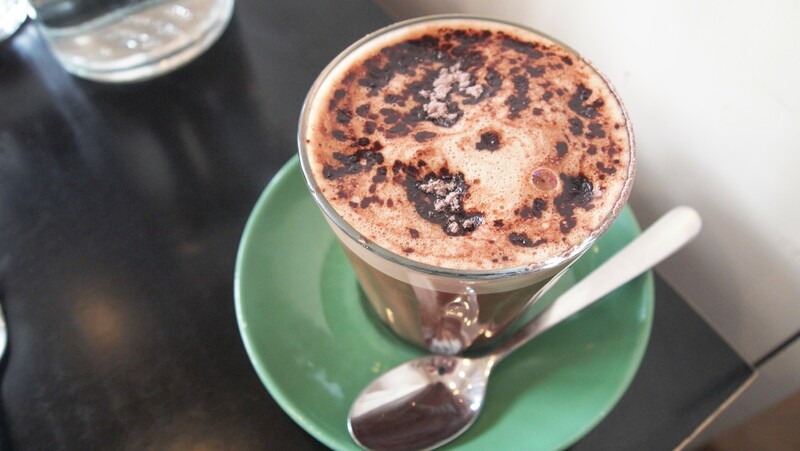 Brewing 5 Senses Coffee, Mork hot chocolate (special mention to the brewed bounty hot chocolate – awesome!) and offering a solid menu matching some of the best around town. Visit on the weekend and you’ll find the place packed with locals (note to any budding restaurateurs, people out west, aka me, like food, who would have thought! ), who love that they can get an inner city experience so close to home. 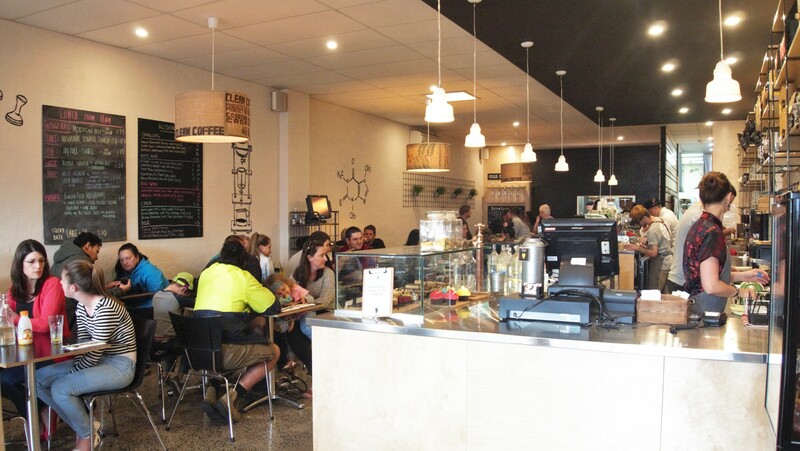 In sticking with the current trend in café fit outs, the space is open and a bit industrial, with simple pendant lights, a vertical garden, a small amount of timber and just the right amount of artwork, including some really cool coffee related diagrams. The menu is really appealing, offering the classics with a spin on them, making it some what difficult to pick just one dish to eat. I opted for the granola which was absolutely delicious. 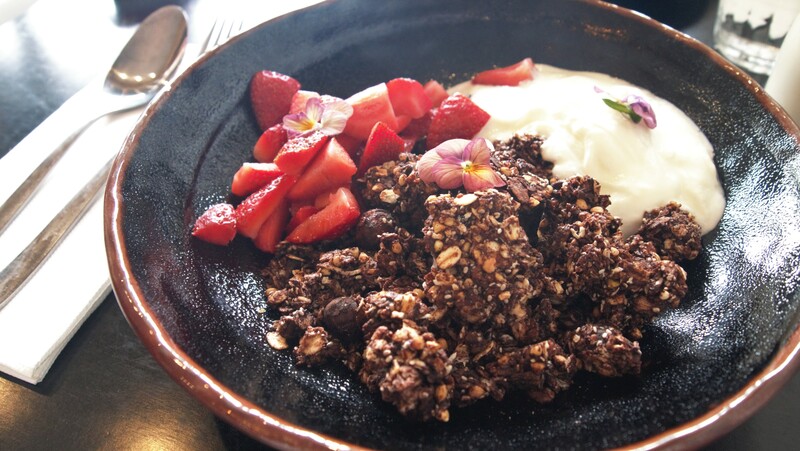 The granola itself had just the perfect amount of sweetness and crunch to it and could quite easily be served on its own as a snack. When paired with the tart yogurt and ripe strawberries, it made for a really well balanced and incredibly satisfying breakfast. I don’t usually opt for granola, but if this is anything to go by, I’ll be eating it all the time. The croquettes were also good. Lightly fried, they didn’t have the crunch you often get in fritters, however the crunch came in the form of the super crispy prosciutto served on top. The croquettes themselves were quite moist and flavoursome especially once paired with the aioli. The aioli was so good, it was a shame there wasn’t more of it. I must say, as much as I loved the food, the service level was average. We sat in the entrance waiting for a table, however a good 10 minutes after a number of tables had been vacated they were still covered in dirty dishes and we were still waiting for somewhere to sit. In the end we got up an asked someone and it appeared as though they had forgotten we were waiting for a table. Once seated, it then took quite some time for orders to be placed and there was also a fair delay in food being brought out. Granted, it was a very busy Saturday morning, I still couldn’t help but feel a little bit disappointed. Given its close proximity to home and the quality of the food and coffee, I’ll definitely be returning again, I just hope we don’t get forgotten next time. Yum those croquettes look awesome!